We offer a safe gathering space for Alliance members and friends to share concerns, joys, sorrows, stories and fellowship around issues pertinent to the LGBTQ community. 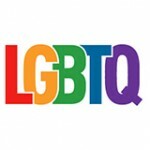 Both LGBTQ persons and straight allies are invited to participate. In addition to reviewing, for potential update, the Alliance statement which was drafted some 20 years ago, we also hope to plan gatherings and/or retreats. The need for confidentially will be respected. Contact D.H. Clark. The resource Righting Dividing the Word of Truth was created for just this purpose. Available through the bookstore on this site. LeDayne, thanks so much. This is exactly what I needed. Others I’ve found have been from other denominations, so having a Baptist perspective is perfect. Thanks, LaDayne for pointing Russell Mark to this resource. You are the best. A lot of folks look to the Alliance for resources and community re: LGBTQ. I hope many of you can expand this conversation and even add some resources to the Resource section of AllianceConnect!